Holistic Healing Program San Diego & Austin - Optimum Health Institute - Page 33 of 36 - Holistic Healing Program serving San Diego and Austin, call (800) 993-4325. Optimum Health Institute provides programs and services for a variety of conditions. Sunrise. Sunset. Seasons. Tides. Planting. The Rains. Harvest. The Earth has a sacred rhythm that flows through all of creation, including each of us. The further removed we are from the rhythms and flow of Earth’s energy, the more out of balance we become. The more connected we feel to this flow, this divine heartbeat of life, the closer we become to God. That’s why moving meditations, where we’re consciously breathing and directing our bodies in rhythm with our mind and spirit, are an ancient and powerful method of prayer in cultures around the world. These moving prayers anchor us to the Earth, and set our Chi, or life energy, in synergistic motion with the planet. One example of prayers in motion is the Native American powwow. The heart-beat rhythm of the drum calls to the dancers, and their silver jewelry sparkles in the sunlight as they move in unison around the arena, holding feather fans against their beaded tunics. The women and men stomp, weave and turn in perfect rhythm to the same traditional songs their ancestors did. This timeless gathering of Native Americans is not a “dance” – rather it’s prayer in motion, a moving meditation to celebrate the Earth and express gratitude to the Creator for their many blessings. Another example of moving meditation as a spiritual observances is the Sufi Whirling Dervish dance, started by devotees of the Persian poet and theologian Rumi. 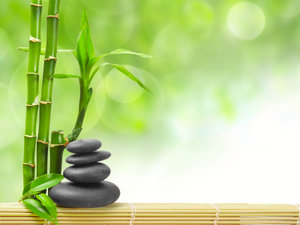 The ancient practices of yoga, Tai Chi and Qi Gong are all about specific stretches and moves to circulate Chi throughout the body, and mindful breathing to align body, mind and spirit in a meditative state. Since the Renaissance, churches and cathedrals have frequently included labyrinths laid into the floor to provide a pattern for priests and parishioners to walk along in a prayerful state. This, and all the other types of moving meditation, can facilitate the user entering more quickly into a contemplative alpha state. We at the Optimum Health Institute (OHI) believe prayer is one of the most important spiritual disciplines we can practice. Whether it’s gathered with others in a circle before mealtimes, or cloistered in your own thoughts as you have a private conversation with God, or a moving meditation, like a contemplative walk around the grounds or an exercise class – all these forms of prayer and meditation deepen your connection to God. In fact, any time you start to lose your sense of the rhythms of the Earth, do your mindful breathing, and start putting your prayers in motion. It’s a time-honored, sacred way to get back into balance, and renew your connection to God. As you take control of your health naturally , you will probably begin to pay more attention to the foods you consume and the effects they have on your body. While this is crucial to your health, it is not the only step you should take in making dietary changes. When you change the foods you eat, you should also change the way that you eat them. More specifically, you should be sure to chew your food thoroughly so that you support good digestion. Naturally, you are used to chewing your food, but there is a proper way of doing so that can benefit your whole body. Chewing is where your body begins to process and digest food, so this step should not be taken lightly when you sit down for a meal. Chew slowly and do so multiple times, studies have shown it is beneficial to chew somewhere between 30-40 times . If you set down your eating utensil between each bite, you will be more conscious of the speed at which you are eating and will force yourself to go slowly. All foods should be chewed this way for a better eating experience. When you chew your food correctly, it will take you longer to eat a meal or snack. You should consider this time a wise investment, because there are many benefits that come along with a conscious effort of better chewing. First, you will have the immediate reward of completely tasting your food. You can savor every bite and get the full flavor experience of everything you consume. This will make you more aware of what exactly you are eating and slow you down so that you do not overeat. Chewing thoroughly also breaks down your food more before it reaches your stomach, meaning that your digestive system has to do less work to get full nutrients from the food you eat. This will result in greater comfort after eating, along with an overall sense of general wellness. At Optimum Health Institute , we will help guide you through the proper steps to take in eating and preparing food so that you get the most out of a vibrant raw diet to cleanse your body. The holistic healing program at Optimum Health Institute consists of three-week-long sessions that can be taken consecutively or independently. The sessions interlock classes and activities drawn from 24 ancient spiritual disciplines that promote healing of your body, mind, and spirit. Along with learning how to cleanse and nourish the body with diet, fasting, and exercise, guests learn how to quiet and focus the mind with journaling and meditation, plus renew and awaken their spirits with study, prayer, and celebration. To learn more about the OHI program, call (800) 993-4325 or visit www.optimumhealth.org. As the Bible states, words are at the very heart of creation. Words have the power to inspire us, guide us, illuminate the darkness and heal us on deep emotional, mental and spiritual levels. The Optimum Health Institute (OHI) Focus Manual includes a selection of quotes we particularly treasure for their power to raise our awareness, spark our spirit and engage our mind. We’re sharing some of them here. Because we don’t know what is really important to us, everything seems important. Because everything seems important, we have to do everything. Other people, unfortunately, see us as doing everything, so they expect us to do everything. Doing everything keeps us so busy, we don’t have time to think about what is really important to us. You need to believe that what you’re doing is right, and you need to stay focused. Without a clear course in mind, it’s very easy to be swayed by everybody’s opinions. When your daily activities are in concert with your highest priorities, you have a credible claim to inner peace. The human spirit lives on the hope of finding one’s purpose, the love in sharing with another, and in the faith it will be fulfilled. When I was young, my ambition was to be one of the people who made a difference in this world. Everyone has inside of him a piece of good news. The good news is that you don’t yet realize how great you can be! How much you can love! What you can accomplish! And what your potential is! The greatest thing in this world is not so much where we stand, as in what direc- tion we are moving. You have your brains in your head, and feet in your shoes. You can steer yourself in any direction you choose. Focus on the positive aspects of every person you encounter. End each day with a grateful heart. If we had no winter, the spring would not be so pleasant; if we did not some- times taste of adversity, prosperity would not be so welcome. Prayer is when we talk to God. Meditation is when we listen to God. And Alpha is the state of being that occurs when we do both. When your body, mind, and spirit are aligned, you can achieve good health. If you are looking for a holistic healing program, in San Diego or Austin, visit Optimum Health Institute . We can help you achieve your mental, physical, emotional and spiritual goals for optimal health. For more information about OHI, visit our website at www.OptimumHealth.org . To make your reservation, please call us at (800) 993-4325. Knowing what you want out of life is the first step on the path to achieving your life goals. The idea of simply addressing and visualizing your goals and then accomplishing them seems too easy to actually work, but the reality is that you can gain more control than you might imagine by putting your dreams into a visual medium with a vision board. The concept of the vision board has been around for generations, but it gained a renewed interest and popularity after success expert and entrepreneur, John Assaraf related his story of using vision boards to achieve his dreams in the best-selling DVD documentary The Secret. Gaining the attention of notable celebrities like Larry King and Oprah, vision boards and the philosophy surrounding them have become famous. This fame is not unwarranted, because using vision boards can be the first step into an enlightened and enriching new plane of consciousness. A vision board is simply a visual representation or collage of the things that you want to have, be or do in life. It consists of a flat surface with cut-out pictures, drawings and or words and phrases of the things that you want in your life or the things that you want to become. It requires a few inexpensive supplies, poster board, construction paper, glue, scissors, markers and magazines. 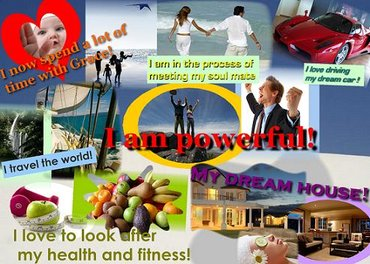 You can even create a vision board on the computer and set it as your screen saver. Making a vision board is more than just scrapbooking with photos from magazines and newspapers. Although these materials may be the basis for your board, they represent a much deeper meaning than superficial desires. A vision board is a simple yet powerful visualization tool that taps into our creative right brains and our subconscious. When you acquire pictures and headlines to add to your vision board, you should seek those that bring out a primal, physical response in you. Those images that render such a reaction can help you identify what it is that you truly want, which may have previously been veiled within your subconscious. As you grow to realize what it is that you desire, you can shift your thinking to help you make that desire a reality. The theory is that you will begin to attract those things into your life. Your vision board will serve as the foundation for your own self-discovery that helps you unlock the secrets to your happiness. The Optimum Health Institute encourages the use of vision boards and every Saturday afternoon guests can attend a vision board making class. In the Optimum Health store you can also find a kit developed by Assaraf called The Complete Vision Board Kit. It’s an exciting time to be on the planet. During our lifetime, and actually just in the past few years, the scientific community has done a complete about-face concerning the power of our emotions. While scientists initially discounted things that couldn’t be directly measured, now quantum science is taking these unseen forces into account. Dr. Gregg Braden, a geologist who dedicates his life to bringing science and spirituality together, shares in his book, The Divine Matrix, that laboratory experiments document how human emotion not only measurably changes our DNA – the impact of our emotions extends beyond our bodies, and into the physical world around us. In other words, our emotions effectively influence and even create the life we live. We at the Optimum Health Institute (OHI) are delighted that contemporary social science is addressing the concept we’ve been sharing since we opened our doors 35 years ago. Our Emotional Detox class not only teaches that emotions are powerful – our facilitators give practical, positive tips on how to manage your emotions for the best results on physical, mental and spiritual levels. All positive emotions have at their core “Love.” Joy, excitement, hope, compassion, altruism – all these emotions are anchored by love. 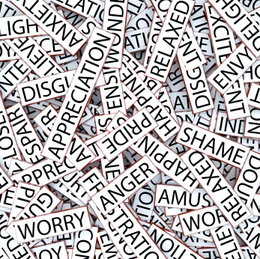 All negative emotions have at their core “Fear.” Worry, anxiety, guilt, regret, anger, impatience, doubt, suspicion – these emotions are anchored by our fear. We also teach that first comes a thought – like, “Why is my date looking at that other person?” The emotional component, in this case “jealousy,” follows close behind. When we can intercept that negative thought immediately, we can stop ourselves from attaching a negative emotion to the thought, and simply neutralize it before it can have a harmful impact on us, or our environment. If we let that negativity continue to build, the emotion of jealousy could give us a churning stomach, butterflies, rapid, shallow breathing that starves the brain and body of oxygen, and constricted blood vessels, which can physically injure the heart by raising blood pressure. What we just did was assign a negative emotion to a fleeting negative thought, but the consequences to our body, mind and spirit will continue to create a toxic imbalance for quite a while. Being mindful of our thoughts keeps us conscious of the fact that we assign emotions to our thoughts and feelings. We have the power to cancel the negative emotion of jealousy, and replace it with a more positive thought, like, “That really IS an attractive person my date just noticed, which proves my date has great taste. And my date is with ME!” The positive emotion of self-confidence replaces jealousy, and the effects in the body are equally positive. An important part of emotional detoxification is knowing exactly what makes us happy, and actively focusing on it. There’s a brand new branch of psychology called “Positive Psychology,” and it was developed by Dr. Marty Seligman, a professor at the University of Pennsylvania. When Dr. Seligman was elected president of the American Psychological Association in 1998, he got to decide what psychologists would research that year. He reasoned that since the field had invested decades in studying what messed people up, it would be enlightening to instead research what made people happy. The results of the study surprised the entire field of social sciences. Contrary to what people had assumed, happiness was not measured by one’s income, appearance, age, geographical location or any of the other obvious choices. Rather, it boiled down to three components – FAITH in a divine source greater than the individual; FRIENDS to support, inspire and validate, and LIVING A MEANINGFUL LIFE – doing something that truly mattered. When that optimum trinity was in place, people were happy, and felt true love in their life. Happiness is healing – laughter increases endorphin levels, reduces stress, increases cardiovascular activity and boosts our immune system. You have to be happy to hear that! You can find Gregg Braden’s books at the Optimum Health Store at both OHI Austin and OHI San Diego. te. We can help you achieve your mental, physical, emotional and spiritual goals for optimal health. To learn more about OHI, visit our website at www.OptimumHealth.org . To make your reservation, call us at (800) 993-4325 . Adjusting to a raw food diet can take some time, and it does require adopting new methods of food preparation that you may not be familiar with. Sprouting is one such method that can be done right at home with minimal effort and big nutritional payoff. 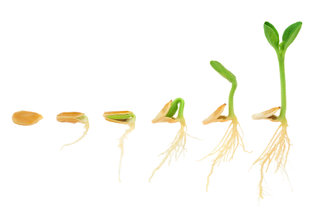 The sprouting process begins with seeds, nuts, and grains that may otherwise be processed and cooked. Through sprouting, these foods are given more nutritional value and palatable, developed flavors. Sprouted foods offer higher quantities of protein, vitamins, fatty acids, and minerals than their unsprouted seed counterparts. The reason why sprouts contain such nutrients is because these elements are necessary for growing germinating plants. Seeds are broken down through soaking, and complex compounds are simplified to enrich the nutritional value of the resulting plants. The key to sprouting seeds is moisture, and seeds need to be kept in a humid environment as they sprout and grow. The first step in the process is soaking seeds overnight and then rinsing them. This will hydrate the seeds and begin breaking down the compounds within them. Next, the seeds should be placed in a bag or jar where they need to be kept in a humid environment. As the seeds sprout, they should be rinsed so they stay moist and clean. The possibilities for sprouting are nearly endless, as you can sprout all types of seeds and use them in a variety of applications, including juices, salads, and breads. You may choose to sprout wheatgrass, radish sprouts, alfalfa, mung beans, lentils, quinoa, pea shoots, mustard greens, or any other number of seeds! You can also find some organically produced sprouts in natural grocery stores, but the variety will be more limited than what you can sprout at home. Sprouts are a very important part of the OHI detox diet. Guests marvel at their texture and taste and look forward to the second week program where they learn how to sprout and incorporate sprouts into their diet once they return home. Journaling is not only a spiritual discipline – it’s a journey of discovery and illumination that takes you on a trip inside your heart, mind and soul. It creates a light for you to follow wherever your thoughts lead you – through transformational chapters in your life, towards your hopes and dreams for the future, or down dark tunnels of incidents and emotions long past. Through regular journaling, you can come to the gradual realization that everything in your life – the good, the bad and the ugly – can, upon the reflection that journaling facilitates, turn out to be important spiritual lessons that guide and redirect your path. Perhaps most importantly, the true gift of mindful, regular journal writing is that it creates a powerful, direct link between you and God. Done with sacred intent, the things you write in your journal can actually facilitate a private “conversation” with God, and give you a clearer intuitive understanding of your mission, and how to live a purposeful life. 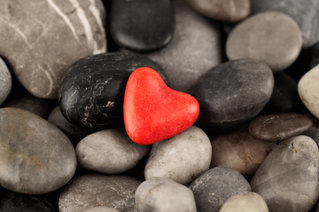 One way to quiet the mind and open your heart to God’s guidance is first to surrender any resistance to the idea that you truly can have that kind of a personal connection with the Creator. Believe that when you approach journaling from a prayerful and heart-centered space, you can trust the insight and inspiration you will receive. After you write the beginning to that first sentence, stop and set a timer for 10 minutes. Start the timer, and continue writing in your journal without consciously directing your thought process. The only rule is, you must keep writing for the entire 10 minutes. You might find yourself starting to write something like, “This is not going to work. God doesn’t speak to people in this way,” or, “breakfast this morning was delicious, particularly the seed cheese.” That’s fine. Let it flow. Because since you set the intent to tap into divine wisdom and guidance, within the first few sentences, you will. Without you making a conscious effort to retrieve or edit information, the stream of consciousness you’re writing for the 10 minute period will gradually shift into wise, illuminating and very specific information to support the statement you wrote at the top of the page. Besides this “question and answer” type of directed journaling, you could choose to write your thoughts about the Word of the Day as shared in OHI Austin and OHI San Diego’s first group prayer circle of the morning. If the word is “hope,” how do your thoughts about hope gradually shift as the day goes on? Journal about it, and reflect on it later. Journal about your latest dream – how did it make you feel? Taking it apart and looking at specific symbols, colors, sounds and other people in the dream, what do you think it might mean? 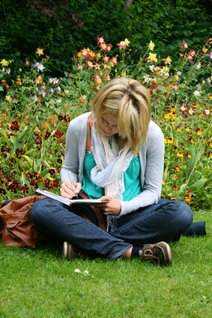 Journaling your answers can help you unlock the divine wisdom of your “night school” adventures, and enrich your life. However you decide to focus your intent, journaling is a spiritual journey, discipline and mind practice that not only helps you connect body, mind and spirit – it connects you more closely to God. Write on! Candace Pert, the internationally recognized pharmacologist who has published over 250 scientific articles and numerous books, scientifically proved that every cell of our bodies has its own separate consciousness. She also says holistic physicians of the not-too-distant future will ask patients three questions – what are you eating, how are you moving, and what are you thinking. She, along with medical intuitive Carolyn Myss, has seen in their work how, as Myss says, “our biography literally becomes our biology.” The things we dwell on, those stories we hold on to about our appearance, our self-worth or our emotional vulnerability, will eventually manifest in our physical form. For instance, if your parents called you “fat” when you were a child, there’s an excellent chance you’ve never outgrown the feeling of being overweight, even when the scale indicates everything’s in balance. Holding on to that story is fertile ground for developing a serious eating disorder, whether it’s a secret one, like bulimia, or one that’s more obvious, like anorexia or obesity. Medical intuitives like Myss point out the body stores various emotions, which are usually always tied to our stories, in very specific organs of the body. Grief and sadness, for instance, settle into the lungs. Resulting symptoms, like shortness of breath, chronic bronchitis, cough and frequent colds and allergies, will continue to manifest until the root cause of the sorrow is pinpointed, and we can finally release that old story. Fear, weak willpower and insecurity can take hold of the kidneys, resulting in frequent urinary tract infections, or lower back pain. Unresolved anger grips the liver, while emotional stress goes right for the heart and adjacent thymus gland, resulting in the immune system crashing. Approximately two weeks after a breakup or other hurtful emotional situation, if we keep replaying the “tape” of that sad story, it’s very common to suffer a cold. The idea that the body files away our memories and emotions has, during our lifetime, evolved from a long-held spiritual belief to a scientifically acknowledged fact. Several years ago neurologists in Canada were conducting brain surgery on a patient, and the man needed to remain awake for the procedure. When one of the doctors stimulated a specific part of the man’s brain, the patient spontaneously recalled a long-forgotten childhood incident in astonishing detail. The doctor stopped the connection, and the memory just as quickly vanished. But when the doctor re-stimulated that exact region, the same memory sprang again into the man’s consciousness. While the brain literally stores the memories, it is our conscious and subconscious minds that create the “stories” we weave around the people, places and things from our past that will be mirrored in our bodies. In her audiobook, Your Body is Your Subconscious Mind, Dr. Pert asserts that massage and other body work modalities are excellent ways to release old memories stored in our cells. She even laughingly recalls a particular time she reflexively reached out to punch her chiropractor when he was working on a specific part of her body that obviously had issues! He did manage to jump out of the way in time, she assures us. Just knowing that our body literally holds on to old stories, and can physically reflect an imbalance of emotions, gives us the opportunity to consciously reframe or even delete “old recordings” that might be preventing us from living a joyful, purposeful life in optimum health. Look into the mirror of you body and if you don’t love everything you see, know that you are free to change the story, and change the resulting physical issue. You have the power to rewrite your biography, and bring your biology into optimum balance. Both Dr. Pert’s audio book, Your Body is Your Subconscious Mind, and Carolyn Myss’ book, Anatomy of the Spirit , are available in the Optimum Health Store at OHI Austin and OHI San Diego. tual goals for optimal health. For more information about OHI, visit our website at www.OptimumHealth.org . To make your reservation, please call us at (800) 993-4325. Sleep is the foundation for holistic health , and giving yourself complete rest every night is one of the best things that you can do to improve your physical and mental wellbeing. Still, many people suffer from sleep deficiencies that can promote poor health, anxiety, and depression. If you are not getting enough sleep every night, you probably feel tired during the day and fall ill more frequently. There are some ways to get back into a cycle of healthy, deep sleep that will soothe you every night so you can wake up ready to embrace the new opportunities of the next day. The exact number of hours you should be sleeping will vary depending on your age and your body’s natural balance of hormones. Babies and children need long periods of sleep to stay healthy, and newborns will spend a majority of the day sleeping. Teenagers also have higher needs for sleep, as they may require about nine to 10 hours every night in order to be energized the next day. Adults may only require about six to eight hours of sleep each night, but it should be deep, restful sleep. What’s the best way to get to sleep and stay asleep? The body knows to go to sleep because the secretion of a hormone called melatonin is triggered by darkness. In the morning when light is present, the body releases hormones like cortisol to promote activity so that you get up and get moving. Melatonin is only released in the darkness, so keeping a calm and dark sleeping environment is important for falling asleep. If you are able to get to sleep but cannot stay asleep, you may need to make some changes to your routine. Nourishing your health while you are awake with a healthy diet and regular exercise will help you get more restful sleep—so make these habits a part of your daily lifestyle. Also, dedicate your bedroom to rest and sleep by removing distracting electronics. Another step you can take to ensure good sleep is relaxing in the evening just before bed with meditation, yoga, or a hot bath. In the Alpha class at the Optimum Health Institute you learn how to quite the mind and get into a meditative state. Practicing the head to toe relaxation technique while in bed is a sure way drift off to a deep and restful sleep. The food you eat is the fuel on which your body runs, and the type of food you choose to consume has a significant impact on your immunity and holistic health . If you eat a high volume of processed foods, you will be more likely to experience health challenges because you are not getting the nutrients your body needs to run efficiently. Ideally, you should choose a raw diet of whole foods that will give you optimal nutrition, including the beneficial qualities of enzymes. 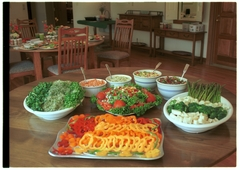 Enzymes are naturally present in an array of foods, particularly vegetables and fruits. They are proteins that facilitate better bodily function by causing reactions during the process of digestion. You might think of enzymes like antioxidants, as they perform similar functions, including cleansing of free radicals, reducing inflammation, and digesting fat. Eating foods that contain enzymes will help you experience these benefits. Incorporating as many raw vegetables and fruits in your diet will be extremely beneficial. Heat causes enzymes to break down, so cooking food will diminish its richness in valuable enzymes. Which foods contain beneficial enzymes? The foods richest in enzymes are those considered to be some of the healthiest foods you can consume. As you boost your intake of enzymes, you will notice that you have more energy, get sick less often, and feel an encompassing sense of wellness. Foods that you should include in your diet are sprouted grains, papaya, radish and alfalfa sprouts, pineapple, and kale. Each of these foods contains a different type of enzyme that detoxifies the body and optimizes digestive function. Properly combining enzyme-rich foods is the best way to harness all the benefits of these powerful proteins. Juicing, dehydrating, and fermenting foods will help you prepare them for raw consumption. Medical research indicates that, as we age, our enzyme supply diminishes. Nature has placed enzymes in raw food to aid in the digestion process, instead of forcing the body’s enzymes to do all the work. If you eat cooked food, you should consult with a qualified nutritionist to determine if you could benefit from a broad-spectrum digestive enzyme supplement. At the Optimum Health Institute , you can explore the many advantages of a raw, enzyme-rich diet, from our initial detox diet to our take home maintenance diet which contests of 80-95% raw with no more than 20% cooked. We offer a nutrient rich meal plan for guests participating in our program along with tips, recipes, and tools that will empower you with knowledge on how to prepare and combine appropriate foods to promote optimum health.